February is such a quiet month cause I haven’t post anything since. And oh, please don’t be bored that I will share about one more visit to limestone quarry. Actually there’s a bit difference because this place more like a fairyland for me. 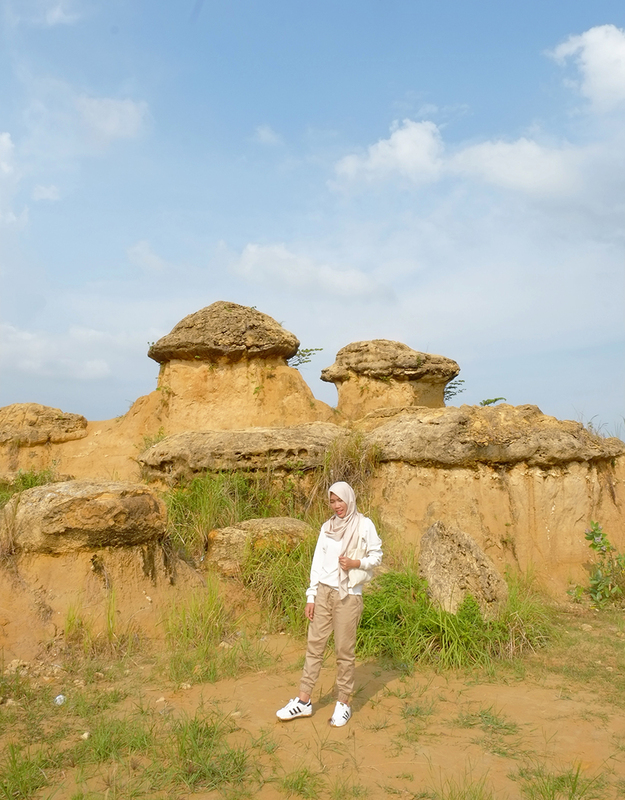 It’s called Bukit Jamur (Mushroom Hill) seems like dwarf house, isn’t it? 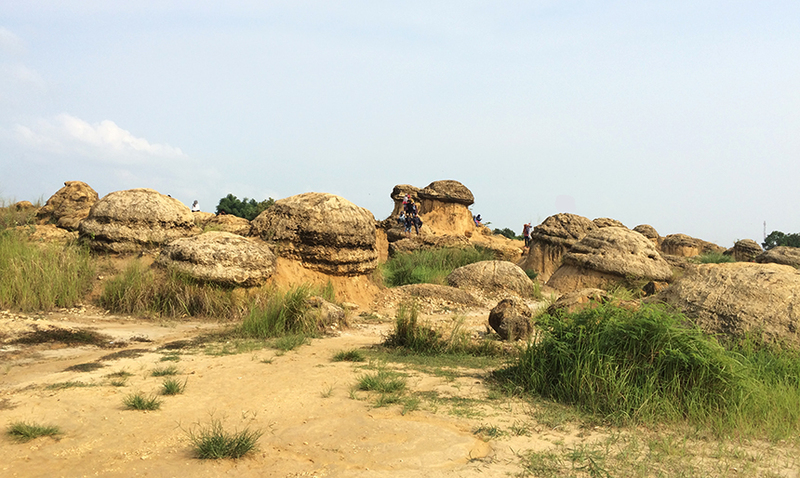 Bukit Jamur located in the former limestone quarry in Bukit Kaliwot, Bungah Village, Gresik – East Java. The access is easy and close enough from Gresik downtown, and also the good thing is.. it’s free entrance, yay! But, they are open for public only on Sunday because there are still a lot of workers of limestone quarry project working on weekdays. Well, the first thought that come up once I found this place is wondering about the process how the mushroom shape was created. Turns out, this happened when the hard part of rocks left alone because it can’t be taken and they proccesed only the easy part of rocks and due to natural conditions, the hard part was eroded to form a hood mushroom. I think it’s cute how the mushroom hill naturally created.